Saint-Jean v. Emigrant Mortgage Co. The firm represented eight African-American and Hispanic borrowers who had been exploited by Emigrant’s predatory loan program. At trial, its lawyers presented significant evidence that Emigrant targeted African-American and Hispanic families in Brooklyn with grossly unfavorable loans. The defendants’ practice of unfair and deceptive loans was a textbook example of reverse redlining—targeting minority communities with loans that were destined to fail, leaving borrowers and their families almost certain to lose their homes or face foreclosure proceedings. Between 1999 and 2008, Emigrant issued mortgage refinance loans under its STAR NINA program, which was designed exclusively for borrowers who had poor credit but significant equity in their homes. The bank did not examine the borrower’s ability to repay the loan, instead lending the money solely on the basis of the value of the homes. Then, if a borrower fell behind on even a single payment, Emigrant imposed an automatic 18 percent default interest rate, forcing many borrowers to sell their homes or face foreclosure. These grossly unfavorable terms were buried in fine print and never explained to borrowers. Emigrant aggressively marketed STAR NINA loans to African-American and Hispanic homeowners with poor credit in New York City, resulting in a massive loss of equity and financial disaster for the plaintiffs, their families and the communities Emigrant targeted. Evidence presented at trial demonstrated that Emigrant was aware of the high rates of delinquency, foreclosures, and equity losses that its program created, but nevertheless grew the program until the very end of 2008, when regulators finally forced it to abandon the 18 percent default interest rate. Each of the firm’s eight clients had been victimized with such destined-to-fail refinance loans and, predictably, went into default, allowing Emigrant to strip their home equity from them. When the case went to court, four of the plaintiffs had lost their homes through a forced sale or foreclosure, while the other four remained in foreclosure, living with the daily fear of losing their homes. Indeed, because the damages phase of the trial will not begin until April 2019, none of the plaintiffs, despite their victory at trial, have been made whole by Emigrant. 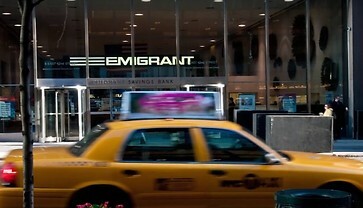 The plaintiffs filed their case, Saint-Jean v. Emigrant Mortgage Co., in U.S. District Court for the Eastern District of New York in 2011, charging that Emigrant’s predatory practices violated their rights under the Fair Housing Act, Equal Credit Opportunity Act, and the New York City Human Rights Law. After a significant period for discovery, the five-week jury trial began in June 2016 before U.S. District Judge Sterling Johnson, Jr. At trial, the firm, along with co-counsel from Brooklyn Legal Services, presented strong evidence that Emigrant’s practices harmed plaintiffs and the predominantly African-American and Hispanic communities that Emigrant targeted. The jury found Emigrant liable on all counts and awarded compensatory damages to six of the plaintiffs. Two other plaintiffs were unable to recover the losses sustained from Emigrant’s discrimination because they had signed a waiver of claims as part of Emigrant’s loan modification process. Following the verdict, both sides filed motions asking Judge Johnson to review of the jury’s verdict. Emigrant asked him to overturn its liability verdict and damages award to the plaintiffs. Meanwhile, plaintiffs’ asked the Court to find the waiver provision signed by two of the plaintiffs to be invalid. In a written opinion on August 30, 2018, Judge Johnson held for the plaintiffs on both these issues. He upheld the June 2016 jury verdict finding that Emigrant's STAR NINA loans were unlawful, and concluded that the waiver provision that had shut two of the plaintiffs out of the jury’s compensatory damages award was void because it violated public policy and was therefore unenforceable. Further, he held that the jury’s compensatory damages verdict was grossly inadequate and insufficient to “restor[e] Plaintiffs to their pre-STAR NINA loan positions.” As a result, all eight plaintiffs will have another opportunity to present their case for damages to a new jury. The firm, along with Brooklyn Legal Services, returns to court for a jury trial on damages on May 6, 2019. Financial institutions wield immense power over the lives of many in this country, because access to good-quality credit is essential to achieving financial stability. Vulnerable borrowers can easily fall prey to predatory offerings by banks that see profit-making opportunity, however destructive, in communities that have traditionally been excluded from access to credit. This case shows the power of the nation’s civil rights laws to hold financial institutions accountable when they violate civil rights and to make lenders think twice before taking advantage of vulnerable communities. The Relman, Dane & Colfax team in the case is led by Reed Colfax, Tara Ramchandani, Yiyang Wu, and Lila Miller who are joined by Rachel Geballe from Brooklyn Legal Services with additional support from the Center for Responsible Lending. Saint-Jean v. Emigrant Mortgage Company, No. 11 CV 2122 (SJ) (E.D.N.Y.). We are professionals dedicated to fighting discrimination through litigation, as well as counseling those who embrace the vision of an inclusive society. We litigate cutting-edge civil rights cases nationally. We also counsel progressive companies that want to incorporate civil rights principles into their operations. We focus on civil rights because we want to hasten the time when choices about where to live, work, and go to school are not constrained by discrimination and segregation.